Thousands of years ago, our food was nutritious; we hunted and gathered to burn off calories; and there was no obesity. Then the world evolved, we became a fast food nation and we became lazy. 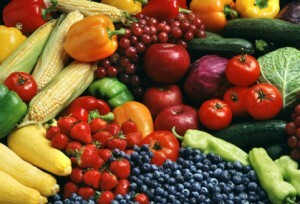 Now our foods are nutrient poor, full of toxic pesticides and possibly hormones – we need all the nutrition we can get! On the web there are literally hundreds of thousands of weight loss pills, gimmicks and even wraps (that promise a flat stomach in a week). Every summer these sites and products are growing in number, and due to the obesity epidemic we are facing, there are plenty of people to be lured in. If you’ve ever studied basic human anatomy or biochemistry you would know that our metabolism works by something called the ‘Krebs Cycle’. The Krebs Cycle uses amino acids, carbs and fats to work effectively. B Vitamins found in wholegrains are also very important for the proper functioning of the Krebs Cycle and ultimately our metabolism. This is the reason I have issues with Paleo ‘grain free’ diet. I don’t believe that cutting out a whole food group could be healthy for anyone (unless medically diagnosed). Nutrition plays such a large part in weightloss because if our bodies are missing out on key nutrients, they just won’t function properly. We need our fibre to stay regular, our iron to circulate oxygen around the body, our B Vitamins for energy and metabolism support, iodine for proper functioning of the thyroid and calcium and magnesium to alleviate muscle cramping. 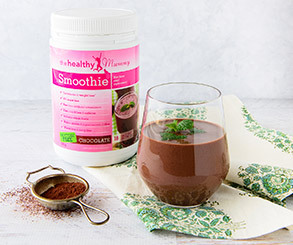 The reason I support the ‘Healthy Mummy Smoothies’ are because they are so nutritious, are breastfeeding safe, contain no weight loss accelerants, contain no caffeine, are gluten free, are dairy free and are packed full of essential vitamins and minerals designed to give the busy mum the best nutrition possible. The ‘Healthy Mummy Smoothies’ are also low GI and are high in fibre, which helps you feel fuller for longer and aids digestion. All the best for your weight loss journey.